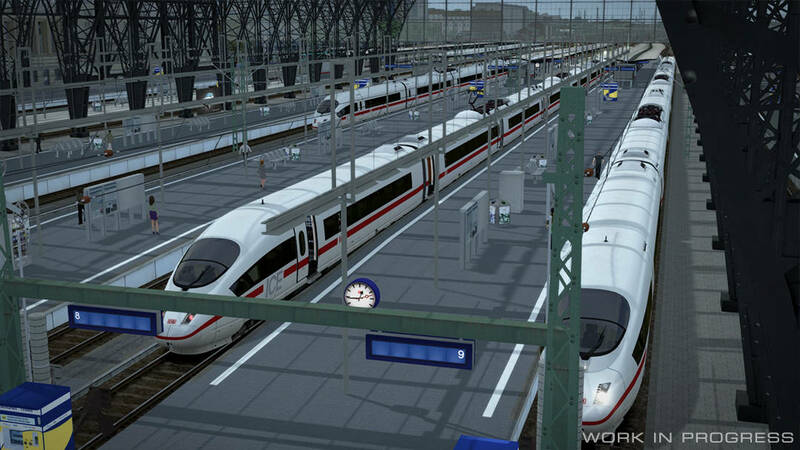 Frankfurt am Main Hbf celebrated its 130th birthday on August 18th, and it will be the start of the 130+ km high speed experience in Train Simulator. With 24 surface-level platforms, and a daily passenger figures averaging at 450,000, Frankfurt am Main Hbf represents the pinnacle bustling, modern city termini. Upon departure, the link quickly turns southwards towards Mannheim, traversing an area called the Hessian Ried (from which the line gets its alternative name of “Riedbahn”). 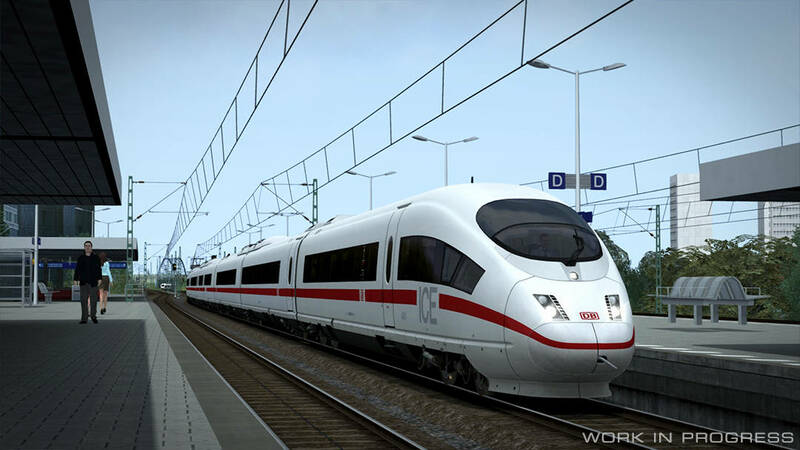 This low-lying, agricultural land in South Hesse is perfectly suited for inter-city travel and sees around many hundreds of trains per day, making it one of the busiest corridors in Germany. There are several stations along the route, but the expresses fly through them at line speed, leaving the local work to regional and S-Bahn services. Any one of the stations offer great potential for frequent trainspotting, and their services are vital for getting commuters to their nearby cities, or of course onward on services bound for far beyond. 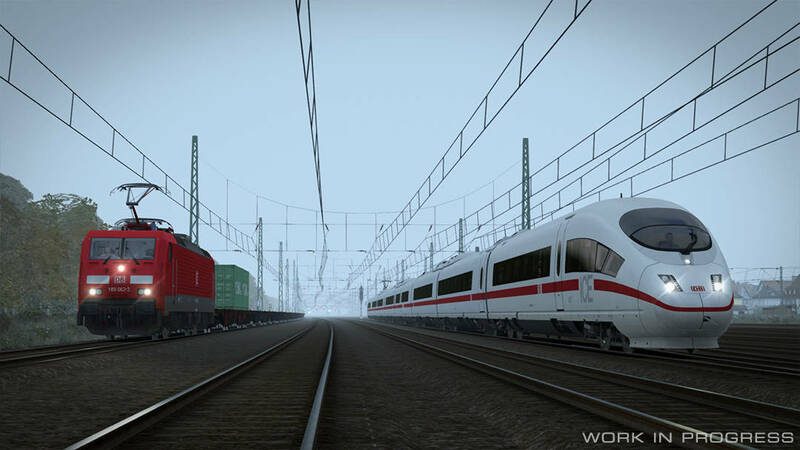 The line curves towards the east for approach into Mannheim Hbf, a station older than Frankfurt, but slightly quieter – what doesn’t remain quiet though is second largest freight yard in Germany, which sees constant use and allows access to the classic line towards Karlsruhe. 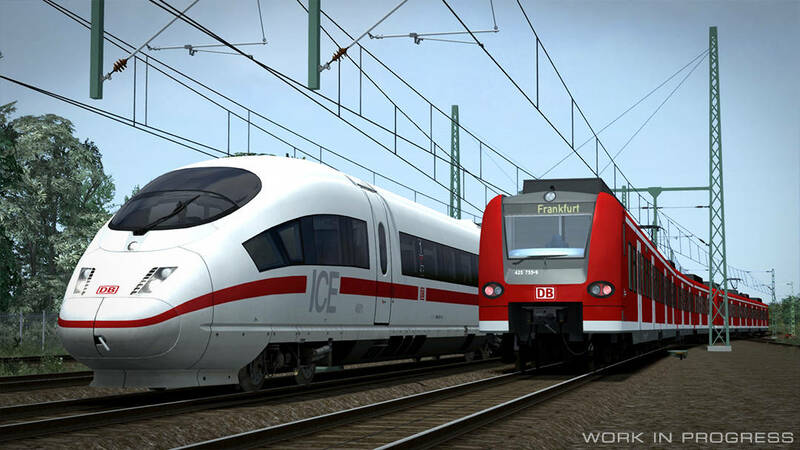 ICE services split off and join the dedicated high speed line to head further south; being totally uninterrupted by slower traffic, the final stretch makes for a swift but memorable journey’s end for the passengers. 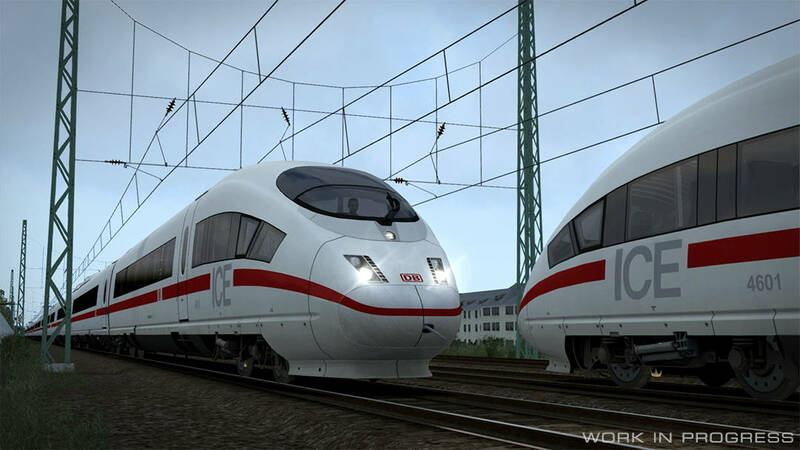 In Train Simulator, the Frankfurt High Speed route is shaping up to be a fantastic high speed experience – not only with the included DB BR 406 ICE 3M, but an all-new DB BR 407 is in the works, which has been modelled and Master Key Simulations and is currently in the script shop of Maik Goltz, it won’t be one to miss, and it’ll be right at home on Frankfurt rails! 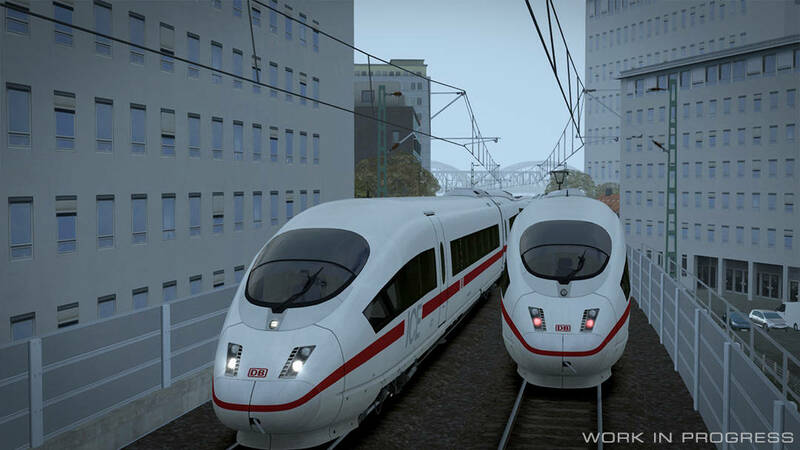 Take a look at the Frankfurt High Speed route below, and if you like what you see, make sure you own the prequisite Mannheim to Karlsruhe route, which is currently 60% off in the Express Encore Sale!